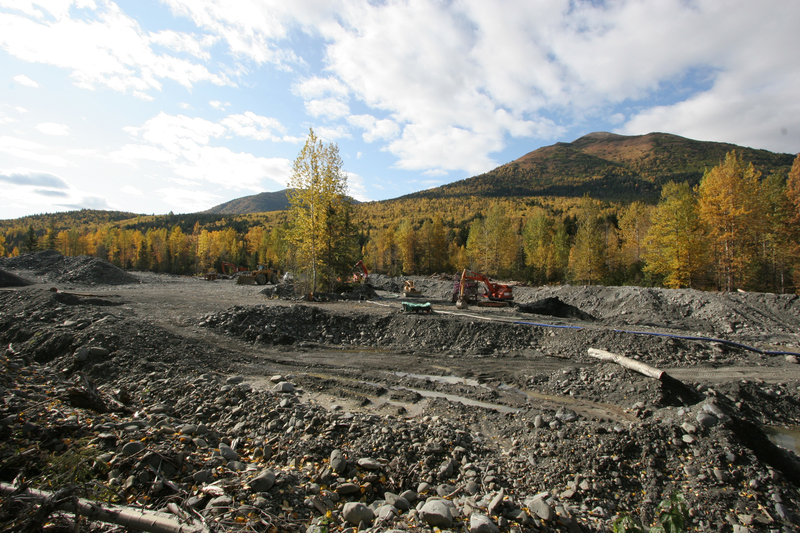 Hope Mining Company has two State claims for sale in the Resurrection Creek Flood Plain area approximately two miles south of the town of Hope with access from either end of the historic “Wagon Road” and Resurrection Creek Road and directly west of the Hope Airport. These are unique claims from the standpoint that they are “shovel ready” with a Plan of Operation, which is on file and current with the State of Alaska for this area that is approved for large-scale (up to 14 inch) dredging operations. Both claims are also approved for mechanized mining. The two claims comprise approximately 80 acres of minable ground. Close to Anchorage and with access from the Wagon Road and close to the Hope Airport, these claims are ideally suited for a full-time mining operation or for weekend mining or whenever it’s feasible. The positioning of equipment, fuel and other supplies is easy. Hope Mining Company is asking $25,000 each for the two claims.